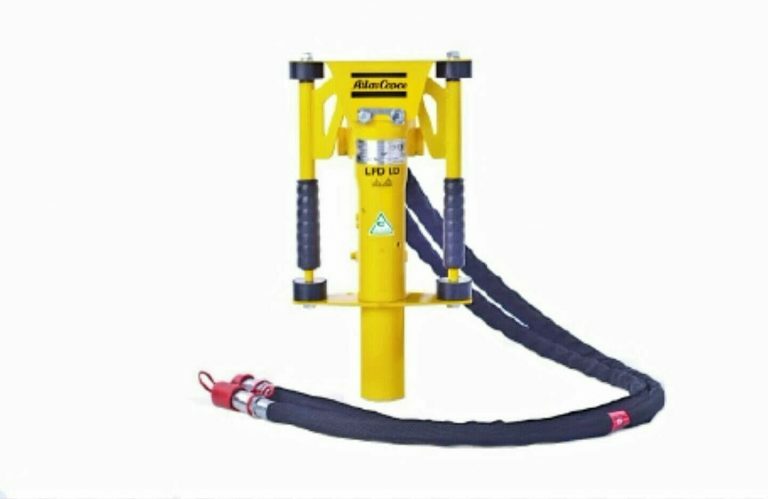 The Atlas Copco LPD LD T Hydraulic Post Driver is available in Rochester NY, Ithaca NY and Upstate NY from the Duke Company. The push-down trigger system is perfect for driving light fences, tent stakes and ground rods. Built-in anvil and a front end that allows for a quick mount of adaptors and bushings for small diameter rods. The LPD-LD-T comes with a standard 2 foot quick- release coupling tail hose. Built-in start/stop trigger that the you can activate directly on the driver. Accepts a high back pressure in the return line, allowing operation from almost any hydraulic outlet – (incl. Skid steers with high return pressure systems, or when using extremely long hoses).